Vitamin D plays an important role in bone and immune health, but many people fail to get sufficient amount of this essential vitamin from their diet or from exposure to sunlight. To ensure that your vitamin D levels stay in a healthy range, you may consider taking a vitamin D supplement. However, supplements taken in large doses can cause side effects, so you should only take them under the supervision of a doctor. Vitamin D plays an essential part in how your body absorbs calcium. If you are vitamin D deficient, you may develop problems with your bones. Vitamin D deficiencies are also linked to chronic health conditions such as cancer as well as hypertension, the National Institutes of Health explain. Vitamin D deficiencies are diagnosed through a simple blood test that measures the amount of vitamin D in your blood. If you are found to be vitamin D deficient, your doctor may recommend that you take a vitamin D supplement to achieve normal blood levels of vitamin D.
Depending on age, the Food and Drug Administration recommends taking between 600 and 800 international units, or IU, of vitamin D per day. According to the National Institutes of Health, men and women under the age of 70 should take 600 IU of vitamin D from dietary or supplement sources daily. Adults older than 70 should get 800 IU of vitamin D daily. During summer months, most people make adequate vitamin D in their skin as a result of sun exposure. In the absence of sunlight, vitamin D can be found in food sources such as fish and fortified milk or from specific vitamin D supplements. To avoid the possibility of vitamin D toxicity, adults should not take more than 4,000 IU of vitamin D each day, according to the National Institutes of Health. While the maximum recommended dose for vitamin D is 4,000 IU per day, most people won't overdose on vitamin D even at dosage levels 5,000 IU or even 10,000 IU daily, according to a report published in the "American Journal of Clinical Nutrition". You likely need to take 50,000 IU daily to develop symptoms of an overdose, notes the Linus Pauling Institute. If you're diagnosed with a vitamin D deficiency, ask your doctor which vitamin D supplement can best restore your vitamin D levels. Don't try to treat the deficiency yourself with supplements. 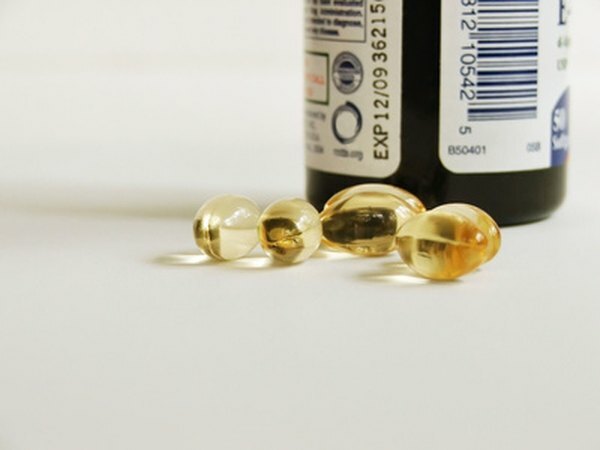 In rare circumstances of severe vitamin D deficiency, a doctor may recommend that you or your child take a very high dose of vitamin D. In these cases, you will likely be prescribed a prescription strength vitamin D supplement. For example, people with rickets caused by vitamin D deficiency may be told to take a one-time dose of 600,000 IU of vitamin D.